While I would not change a single thing, being just 7 weeks postpartum, I can't say I was exactly looking forward to finding things to wear this holiday season... I've become way too comfortable in my new uniform (sweats & hoodies) but with impending holiday parties, I knew I needed some easy, go-to outfits for when drool stained shirts aren't acceptable! 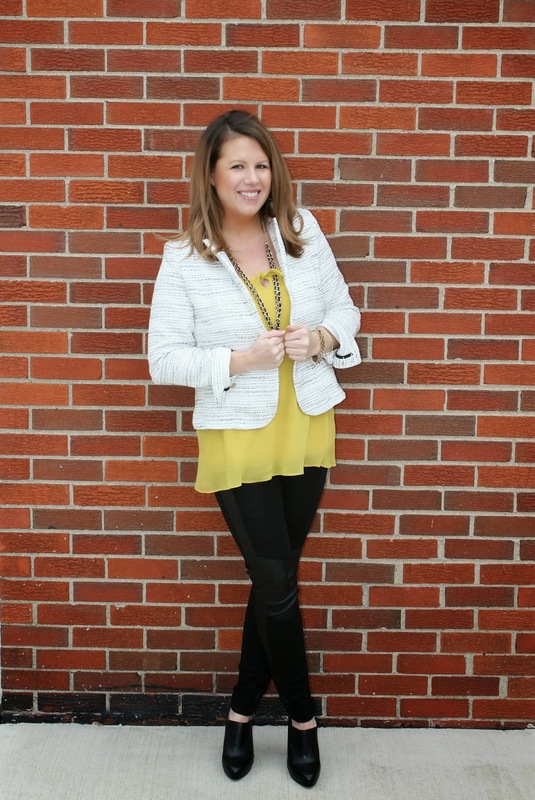 Thankfully for CAbi, I have some new pieces to get me through the holiday season in style! 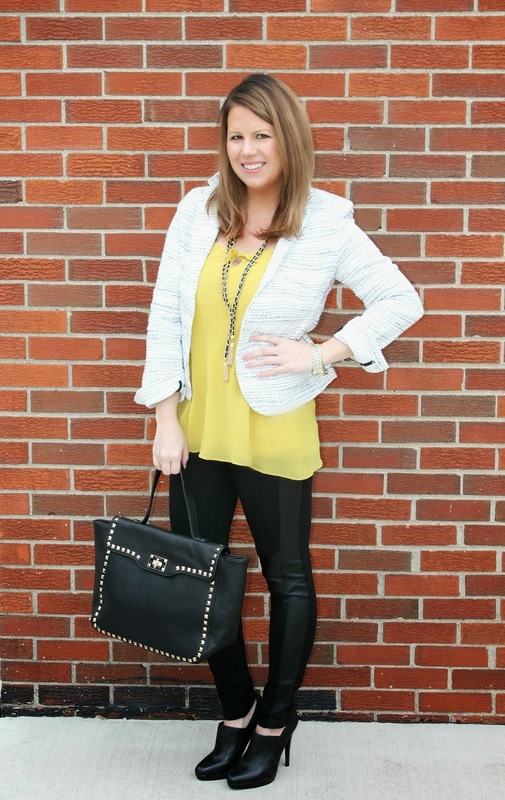 I love that these are all classic pieces that I can mix with a million other things in my closet. I can't wear to wear these faux-leather leggings with a comfy, long sweatshirt and booties. Or pair the jacket with skinny jeans and a black v-neck shirt for a simple, yet pulled together look. And the yellow tank (a new color for me!) is the perfect length to layer underneath a crew-neck sweater.